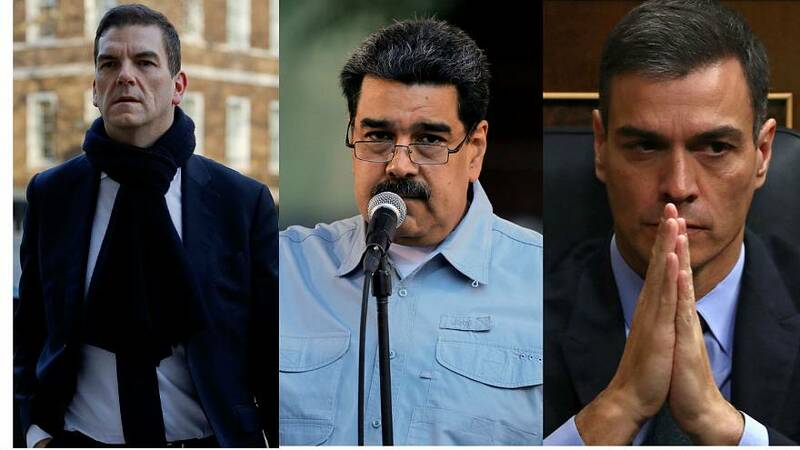 Venezuela's contested president Nicolás Maduro has told Euronews in an interview that EU governments have made a "huge mistake" and "blindly followed" US President Donald Trump in backing his opponent Juan Guaido. Maduro told Euronews correspondent Annelise Borges in Caracas that the challenge to his leadership is "over" and that protesters "can stay in the streets all they want". Spain's parliament has rejected the government's 2019 budget proposal. Prime Minister Pedro Sánchez planned to announce an early general election if his plans were not approved, government sources told Reuters on Tuesday. Both pro-Catalan independence parties in Spain's national parliament said on Wednesday they would vote against the minority Socialist government's 2019 budget draft. The UK's chief Brexit negotiator Olly Robbins has reportedly suggested that British MPs are to be served an ultimatum in March: either accept UK Prime Minister Theresa May's deal, or expect a long extension to Article 50. Robbins' comments were reported exclusively by ITV news, who said he overheard Robbins discussing Brexit plans in a bar in Brussels. A Polish diplomat was given a week to leave Norway on Monday, sparking a diplomatic spat between the two countries. Norway's Ministry of Foreign Affairs spokesperson Ane Haavardsdatter Lunde said the diplomat, Slawomir Kowalski, had behaved inappropriately toward public officials and in his role as a diplomat. However, Poland's Ministry of Foreign Affairs insisted the allegations were "unfounded." Euronews reporter Hans von der Brelie travelled to Bulgaria to meet the textile factory workers earning €350 a month to make suits for labels including Hugo Boss. Bulgaria has the lowest minimum wage in the EU and workers are demanding an EU-wide minimum be implemented.